Muse Art will make art on what you make music with be it a brand, some classic doodles, or your life story in the form or art. For the more funkier of the the musical crowd, adding some character to your instrument (looking at you, upcoming and touring musicians) is almost a rite of passage that Muse Art can help you out with. As the name suggests, it’s a combination of music and art (yes we know music is an art) and it’s all custom made to your aesthetic. The art is hand painted on the instrument that you provide. It will be further treated to preserve the art while allowing the instrument to maintain its musical integrity. 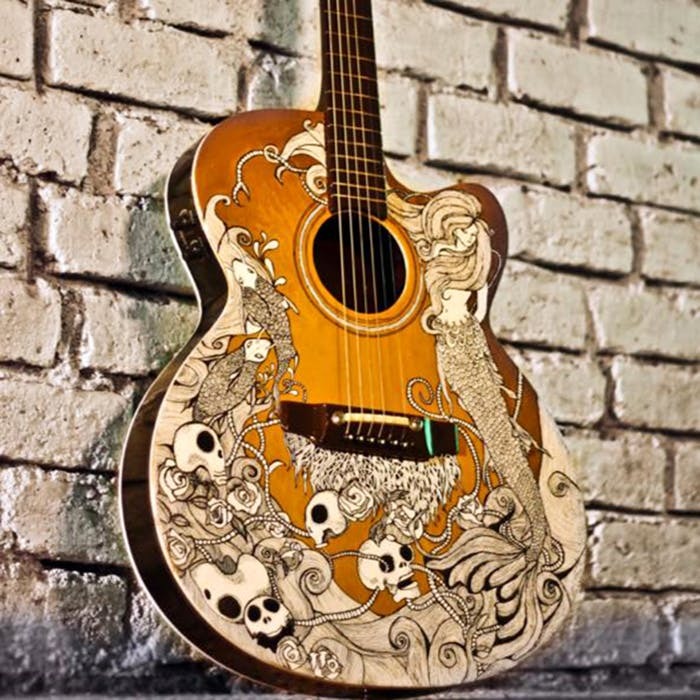 We mention this because the work undertaken by Muse Art includes art work on the headstock, fretboard and pick guard of guitars. The most popular orders, of course, are on the body (either the front or the back, and the side too), and are in the usual doodles and sketches. Of course you can get paintings and other graphic illustrations of your self-expressions as well. To get something done, contact them with what you’d like done and Krutika will contact you and have a chat about what you like, a little bit about you, and go through a few potential ideas. Once it’s approved, pay half the amount (which is entirely dependent on design and level of detail), and you should have your pimped up instrument in two weeks max! The remainder can be paid once the final product is in your hands. If you’ve got a signed instrument, Muse Art can treat it to preserve that signature and protect the surface from damage.